Eternis is pleased to announce that it has successfully completed the acquisition of 100 % of the share capital of AIMS Impex Pvt Ltd (formerly Atlas Fine Chemicals) in an all cash transaction. AIMS Impex is a leading manufacturer of Coumarin in India and has over nearly three decadesestablished its quality, customer service and market leadership in India and overseas. It’s facilities are located near Nashik and easily accessible from Mumbai.AIMS has an excellent and lean team,good manufacturing facilities and sufficient land and infrastructure for future growth. Both Eternis and AIMS are REACH registered for Coumarin. "This acquisition complements Eternis's own Coumarin capacity, which has significantly expanded recently. 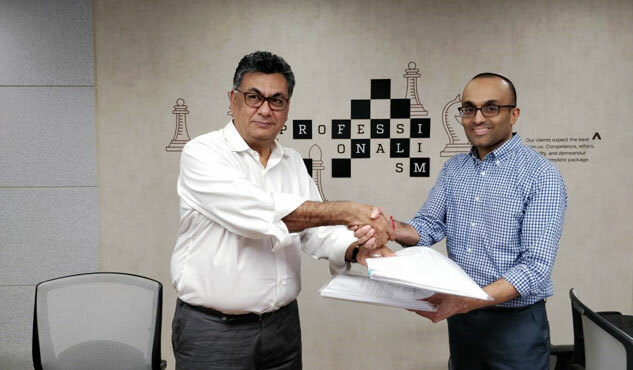 We intend to fully support and strengthen the AIMS facilities so that together we are in an even better position to offer our customers a significant and sustainablesource of Coumarin from India", said Mr Rajen Mariwala, Managing Director of Eternis. "We welcome the AIMS team to our family of committed employees, as we progress on our growth Vision", he added. Mr Anand Sanwal, Managing Director of AIMS said, "My family and I are extremely happy that the business my father and his outstanding team built will continue to thrive as part of Eternis. It has been a privilege for me to work with this team over the last 13 months, and I am excited to see the heights they reach as part of Eternis". AIMS Impex will now become an independent fully-owned subsidiary of Eternis, pending its eventual merger on obtaining requisite statutory approvals. Our customers will continue to be serviced from both plants (Eternis and AIMS), and we intend to seamlessly maintain the highest customer service standards as we integrate the two companies.